One of the things we love about modern homes is the layout. The rooms are designed for flow, with clean lines and clear lines of sight throughout. Unfortunately, it’s often the case with a more modern build that there is one thing lacking: character. Of course, with a clean slate, you can create any character you like in the house. But adding some architectural details, while not always the highest return on your housing investment, can be a tremendously satisfying way to add both character and a touch of your personal signature style to the home. 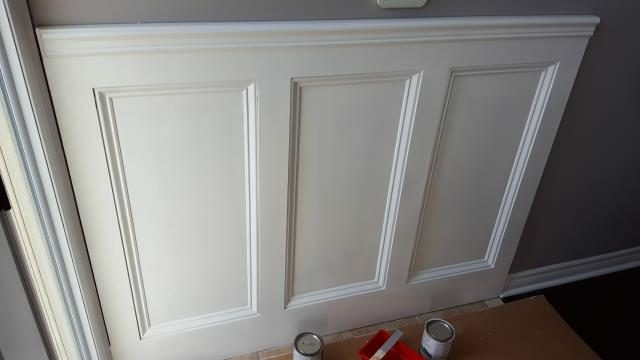 One of the most effective details you can add is a wainscoting. This can be a complicated in the measuring and calculating process, but it’s well worth the effort. 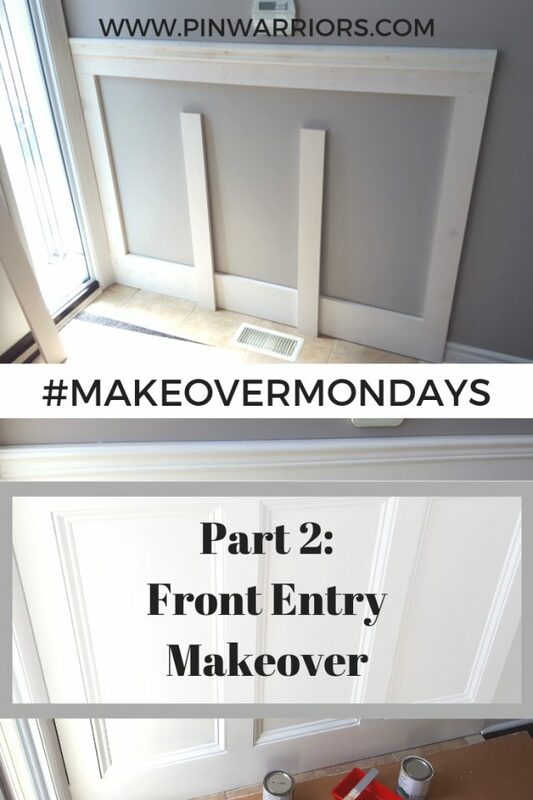 In our home, we started off with a fairly drab entryway (OK, not quite the living room…more a testing ground for that project). The double doors, while impressive in size, weren’t energy efficient or secure, and definitely needed to be replaced. 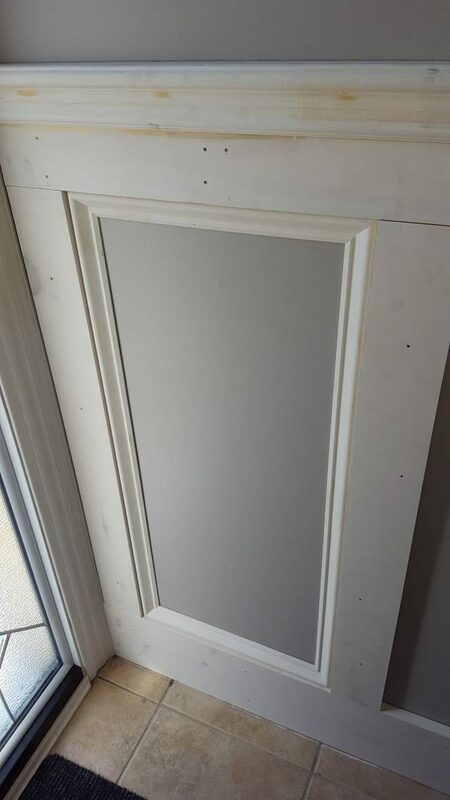 We went with a high-quality custom door (be prepared to invest some serious money in this process), that is slightly oversized in the width and extremely energy efficient. 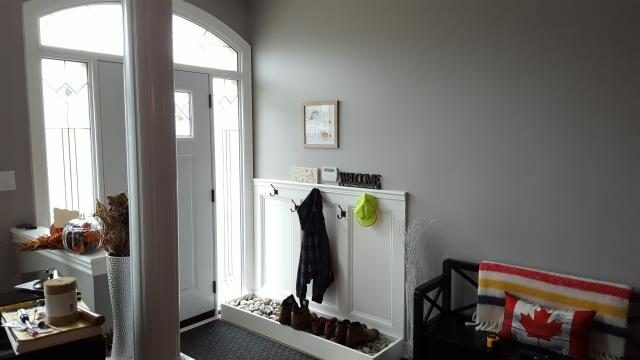 This created a much more welcoming entrance from the outside, and a more dramatic canvas to start work on the inside. Eventually we wanted to do a wainscoting around the living room. 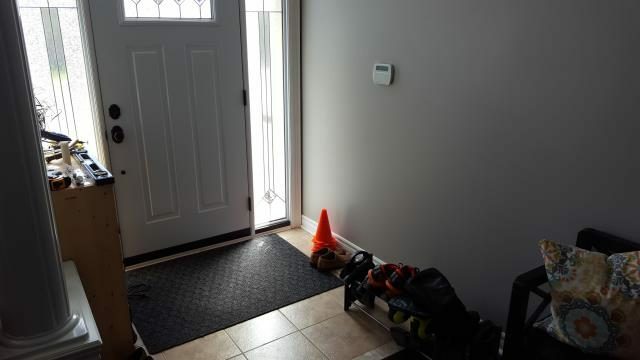 But before taking that on, Steve thought adding a hanging area at the front featuring a wainscoting would be a good practice run. 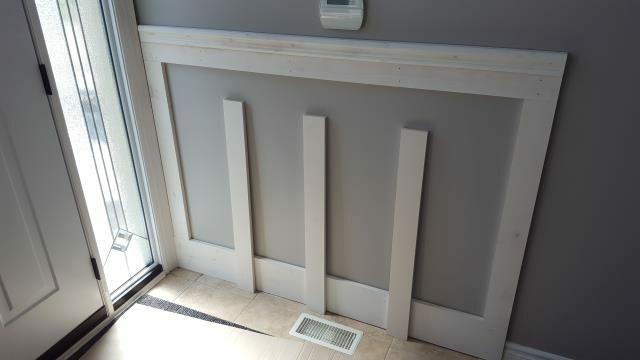 The idea was struck, and the first step was to remove the baseboard and quarter round from the space we wanted to install. This necessitated the purchase of an oscillating multitool. 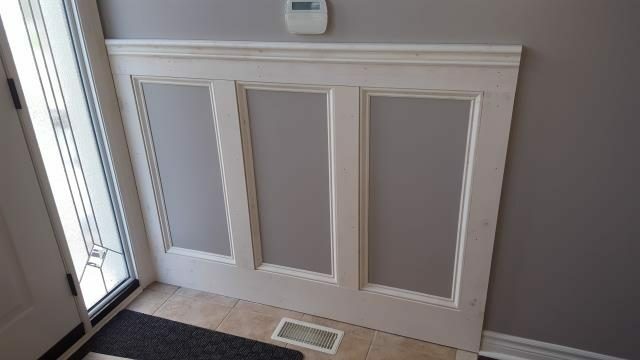 Wainscoting is complicated, because there are lots of steps. But it’s not all that difficult once you understand the measurements and the basic principles. Horizontal boards are called rails. Vertical boards are called stiles. 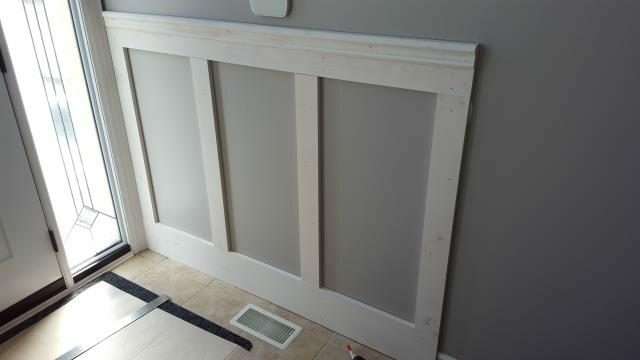 For our entry, we wanted a six-inch header rail (that’s what we’d have in the living room), and an eight-inch baseboard rail. 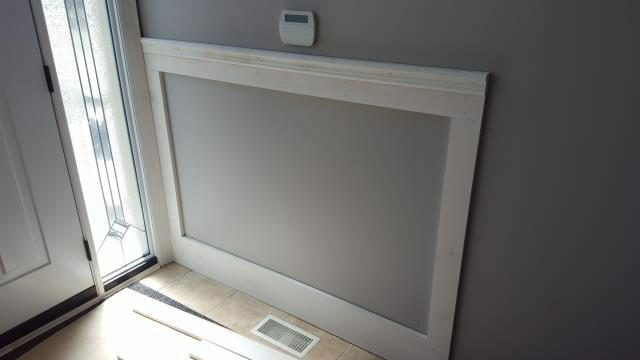 This would eventually allow us to add the regular baseboard in front and create a great dimensional look. Before installing everything, we cut the top and bottom rails, as well as the chair rail that would go along the top, to their final length. We then rough-cut stiles for the ends, plus three extras. These were cut longer than we needed so we could be more precise with them later on. We glued and nailed the chair rail to the face of the top rail, just to save this step later on. It actually doesn’t matter which order you do this in for a short piece like this. It was just a time-saver for the priming. 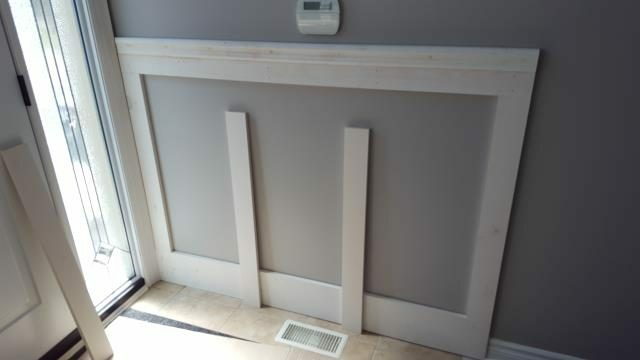 For this wall, we used a 1×6 top rail, 1×8 baseboard rail, and 1×4 for the stiles. We then laid them out and gave them a coat of primer. This was mainly to seal the wood and stop any knots from bleeding sap through the paint. We’ll give it another coat of primer later on, closer to finishing. The first step in the installation was to mount the top rail. 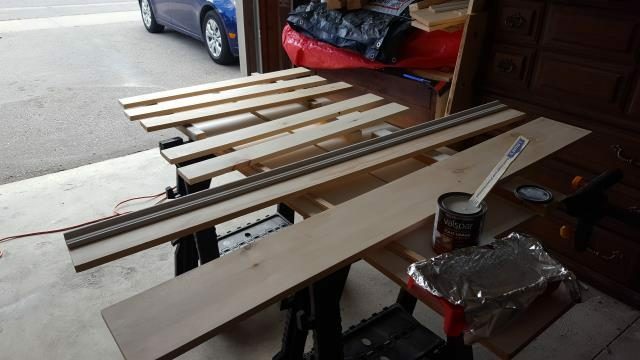 This required cutting the 1×6, finding the studs, applying construction adhesive to the 1×6 rail, and pressing it in place using a level to make sure it stayed as straight as possible. We then used 2-inch finishing nails to hold it securely to the wall. TIP: If your wall isn’t exactly flat, you can also find the studs (there should be at least two in something of this length, as they’re 16 inches on centre, then countersink a screw into the rail and the stud. We had to do this in a couple of spots in the living room later on. After the top rail was in place, we followed the same procedure with the 1×8 baseboard rail. Because this was pine, there were a few knots in the wood. We took the time to cover the knots with some additional primer/sealer first, just in case there was some residual sap that might leak through. We then cut and installed the vertical stiles on the two ends, making sure they were perfectly plumb. These would be the reference for the rest of the work. To create the panels, we used four-inch boards for the stiles (actually 3.5” dimensional pine). This left only one decision: did we want it in three sections or four? Inchcalculator.com has a great tool for calculating and laying out the locations of the stiles on any given wall. As this was only a short section, it was easy. 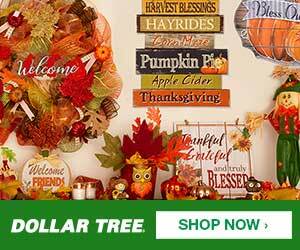 Just input your wall length, the dimensions of your lumber, and the number of panels you want. It then spits out all the calculations for you. With this in hand, we laid out our stiles as both a three-panel and a four-panel wall, just to see visually how it looked in the space. Ultimately, four seemed just a little to cramped, since we wanted to use this as a coat-hanging space. We settled on the three-panel model, got the stiles cut, and hung them in the same way again. Next was the incredibly painstaking process of trimming the panels. 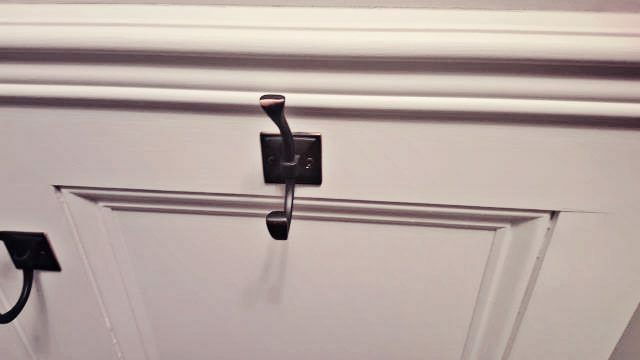 We did this with a moulding on the mitre saw, and it wasn’t the easiest thing in the world. You have to be incredibly patient, cut long, and gradually cut it back to make sure you have a nice, tight corner. 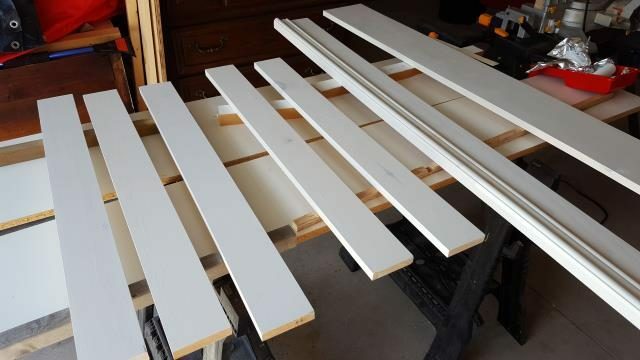 TIP: Make sure you hold the moulding tight to the saw fence and the table. Any bend or twist in the material will throw your mitre joints out of whack and make lining them up a complete nightmare! 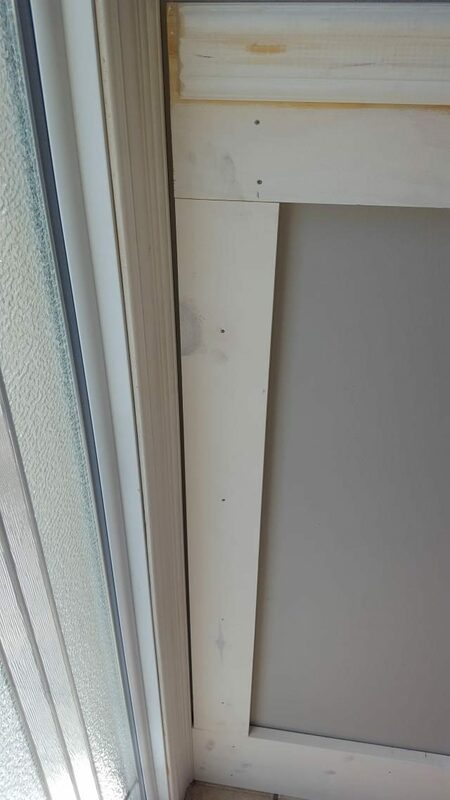 A thin bead of construction adhesive and a few small finishing nails are all that are needed to hold the moulding in place. Once we were happy with the overall look (which, let’s face it, you’d have to be when there’s construction adhesive involved), it was time to seal it up and fill the holes. To cover the seams and fill the nail holes, we used Drydex. This is the stuff that goes on pink and dries white, so you can see when it’s ready to sand. 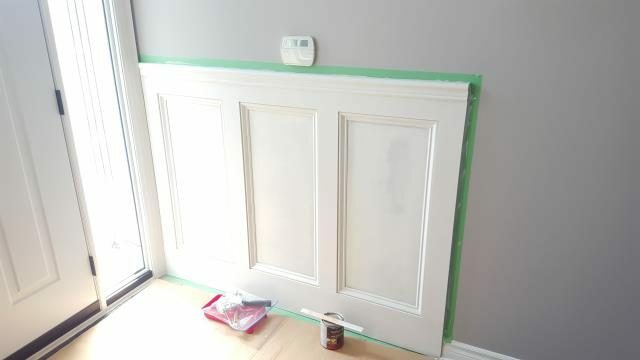 After sanding, we applied a coat of latex primer and two coats of a white eggshell paint. It was a quick paint job, considering the small area, but it turned out really nice. 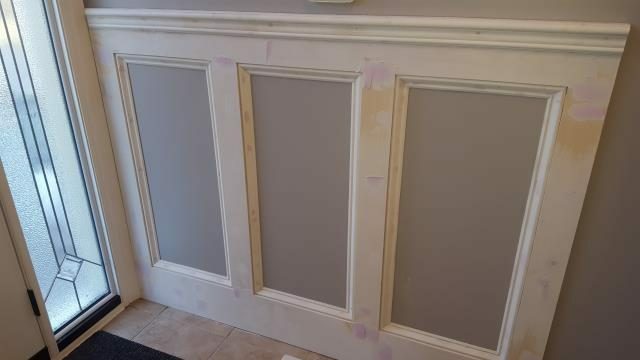 To give it a finished look, we also ran a bead of caulking along the wall on top and the side, as well as around the moulding. 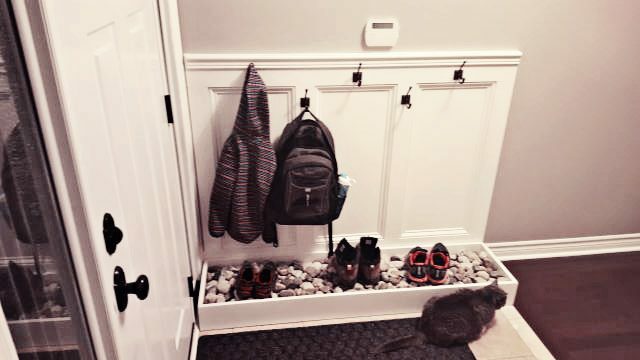 Yes, there is a place for boots. That’s next week’s project tutorial. The small picture you see above the detail has since been replaced with a large canvas, and moved off to the side. We’ll try to get some good pics for you for that one too. 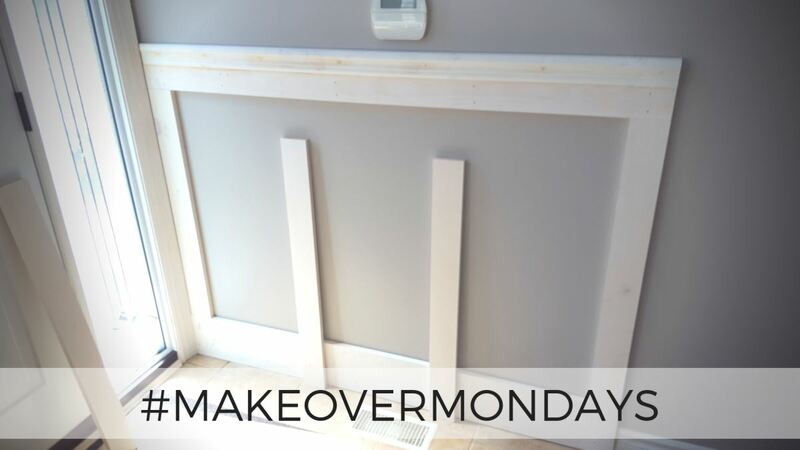 What did you think of this entryway makeover? Let us know in the comments!